Tomorrow is Independence Day and, since the Declaration of Independence was signed in my home city of Philadelphia, this week I have decided to give you a list of my favorite Philly references. 1. 30 Rock Tina Fey grew up in Upper Darby, which is a suburb of Philadelphia, so there are several scenes I could have chosen. Aside from the below clip, there is also an episode featuring the Phillie Phanatic and an episode where, after being asked to do Jack a favor Liz says, “If I’m doing this for you, guess what buddy? I get your Yankees tickets on ARod bobblehead day! And I’m gonna throw that thing in front of a train. Go Phillies!” which just makes me laugh every time! 2. Bones David Boreanaz is also from Philadelphia and he represents his Philly pride well with Seeley Booth. 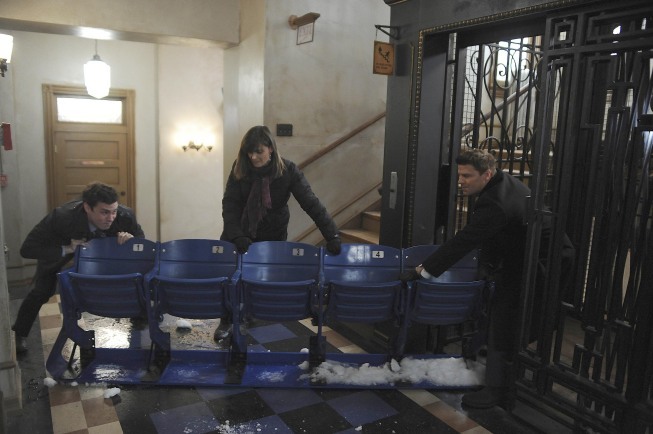 There are lots of Flyers references throughout the show, but my favorite episode is the one where Booth finds seats on the side of the road from the old Veterans Stadium. He tries to take them home, only to have the power go out and he and Brennan get stuck in an elevator. 3. American Dreams This show was set in Philadelphia on the set of American Bandstand in the mid-sixties when it was at the height of its popularity. The Pryor family are big Eagles and Phillies fans, JJ Pryor attends Lehigh University and their Uncle Pete works for the Philadelphia Police Department. The show even deals with riots that took place in Philly during the summer of 1964 and the Northeast blackout in 1965. 4. 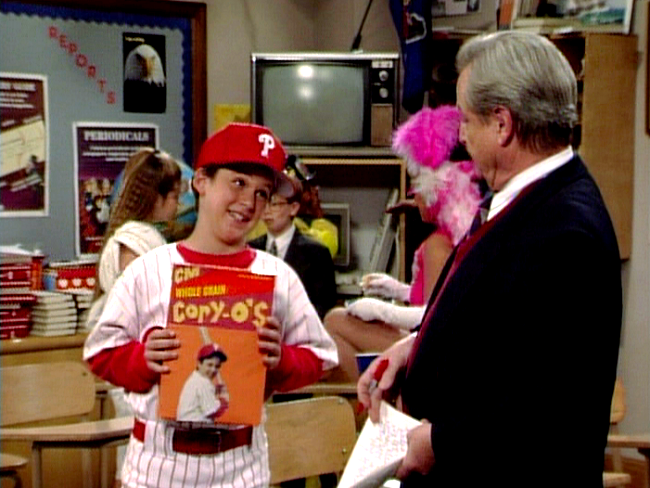 Boy Meets World Creator Michael Jacobs is actually from New Jersey, but we will let that slide since the Matthews family lives in Philly and are big Phillies fans. Cory even dressed as his favorite player one Halloween. 5.The Goldbergs Creator Adam Goldberg is from the suburbs of Philadelphia and, since the show is about his childhood, the fictional Goldbergs also live in Jenkintown. Barry is often seen wearing a Flyers shirt and Murray likes to sit in his chair and watch the Phillies. Kremp’s Florist and the Willow Grove Mall are two other actual businesses in the Philadelphia area that are mentioned. 6. Cold Case I cannot say that I have ever actually watched a single episode of this show however, it was filmed in Philadelphia, so it had to make the list. Creator Meredith Stiehm graduated from Penn and, aside from the below mentioned It’s Always Sunny in Philadelphia, this is the only other show based in Philly that was also actually filmed there, so there are lots of local sites to see in the background of many scenes. Also, storylines were usually adapted from the local news. 7. The Cosby Show Heathcliff Huxtable may have gone to Hillman College, but Bill Cosby is a graduate of Temple University. There are a few episodes in which he wears a Temple sweatshirt and he always refers to his sandwiches as hoagies. Cosby is also a big supporter of the Penn Relays, held in Philadelphia every year, and even filmed an episode at Franklin Field. 8. It’s Always Sunny in Philadelphia Rob McElhenney is from Philadelphia and the show it set in the city of brotherly love, so there are lots of great references in every episode. They film all the interior shots in Los Angeles, but the exteriors are filmed in Philly. My absolute favorite episode is The World Series Defense, where the gang tries to use what happened to them during the 2008 World Series as an excuse to get out of a parking ticket. During the episode, Dee reads a hilarious letter that Mac has written to Second Baseman Chase Utley…and because he’s awesome, Chase Utley eventually responded to Mac’s letter. I hope everyone has a happy and safe 4th of July! !